In light of how its recent reorganization, combined with the geographical distribution of its employees and Allianz sales agencies, could lead to the potential dangers of demotivation, the task was to foster interpersonal/departmental communication, to build a sense of belonging and to create the habit of using their new intranet. By building upon the existing positive experiences of employees with Paralympics, using gamification to foster desired behaviors and linking digital solutions and traditional activities, we designed and implemented the beST (be Stronger Together) project. BeST participants used the intranet twice a week, the average number of colleagues who were communicating on a daily basis doubled, and the company's sense of pride increased by 2%. 57% of the participants in the BeST (and 50% of those who did not participate) think that the BeST application improved communication and enabled them to get to know the team members better, while 72% of Allianz employees formed at least one chat group with their colleagues (vs. 60% before the beST). Alienation caused by digitization, thinking in a silo, and lack of motivation, creativity and innovation are just some of the topics with which today's management struggles. The question was whether VETTURELLI could offer a tool to support organizations in order to address these challenges and to concentrate on the notion of organizational culture, which is the focus of our business. The solution was to create a communication platform through which we would come into direct contact with decision-makers in medium and large enterprises and to authentically demonstrate the power of interdepartmental communication. With this in mind, the business event MAGENTA 1 B2B RUN was created , which companies can use to increase the feelings of belonging and togetherness, and thus to encourage communication among employees. 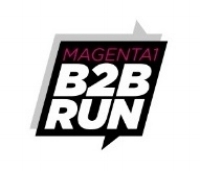 MAGENTA 1 B2B RUN has been recognized by more than 400 companies that included more than 6,500 of their employees in the event, and in collaboration with event partners, a great quantity of research has been conducted as a basis for initiating public debate. "The intense interest of companies in the MAGENTA 1 B2B RUN has been recognized by the international company Infront, which in 2018 bought the event from VETTURELLI." Recent reorganization had led to an increased need for strengthening of company values (care, responsibility, connectedness and excellence) and awareness of the digitization of Allianz's everyday processes, both internally and externally. Introduce employees to the Allianz community support programs and actively involve them in volunteering. Accordingly, a three-day Innovation-Orientation Camp for Parents and Children with Developmental Disabilities was designed, where children could try Paralympic sports and parents were able to participate in design thinking workshops. At the workshops, a digital solution was sought for improving the quality of life of families with children with disabilities. Through a one-month period of internal communication, nearly 15% of employees applied to take part in the first volunteer activity, and altogether donated 600 volunteer hours. The workshop was attended by 54 children from all over Croatia, with workshops identifying the key challenges of parents of children with developmental disabilities and offering digital solutions, while the events were covered by the media in more than 50 announcements. In a highly challenging market, it is difficult for insurers to find a communication point of differentiation that will authentically transmit corporate values both internally and externally while also increasing brand recognition. Thus, the task was to create a sponsorship strategy for discovering differentiation points and to devise activities that would encourage people to live up to these values. A two-month long in-depth analysis of the internal and external environment yielded asolution in the form of a running community that completely overlapped with the values and work ethic of GRAWE employees. A set of activities was conceived and implemented aimed at “starting up” those who are closest to us, and so fostering interpersonal / -departmental communication among coworkers. GRAWE has risen from the sixth to third place in public perception in its field. Within the running community, it became brand no. 2 – second only to a sports equipment manufacturer; 81% are familiar with the PoKRENI initiative, 79% recognise the GRAWE initiative, and among the insurers it is recognised as the most encouraging company. Among employees, 12% began to intensify their relationships both in and outside the office.